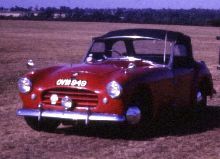 In 1952 Allard launched a smaller sports model to compete in the ever growing British sportscar sector. 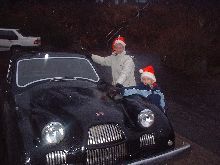 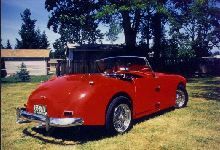 The new car, called the Palm Beach, was clearly aimed at the Austin Healey 100 which was selling well in the USA, an already established market for Allard. 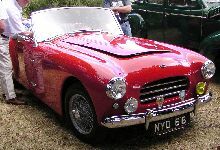 The Palm Beach used a tubular chassis and came initially with a choice of either a Ford Consul or Zephyr engine. 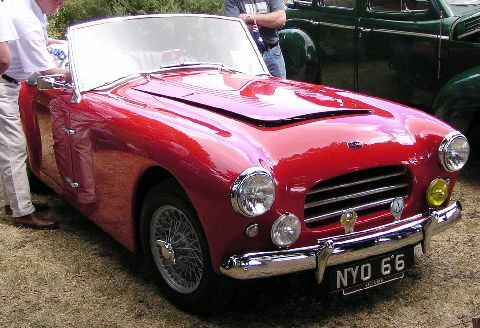 In 1956 a Mk II Palm Beach replaced the earlier model and introduced the option of a larger 3.4 litre Jaguar XK engine and torsion-bar front suspension. 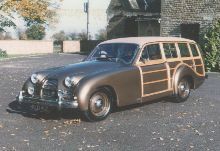 Unfortunately the Palm Beach failed to sell in any great quantity, only 80 cars were built before production ceased in 1958.